Schedule your free initial consultation today. We offer all the types of braces for adults and children, from traditional braces to Invisalign, at affordable prices. ABC Dental is committed to delivering amazing and affordable braces. We work with our clients to help them get the treatment they need​. Call ​(773) 481-2200 today! We are also able to help you evaluate any other written treatment plans. 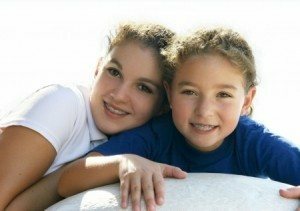 There are many options and variables to consider when exploring braces for yourself or your child. The best way to get clear answers is to see one of our orthodontists for a free initial consultation. Call our office today. We’re happy to answer questions and even review treatment plans from other providers. The costs tend to vary depending on the current state of your teeth and which braces you choose. Our specialist will evaluate your teeth and make the most cost-conscious recommendations. We’re also happy to review treatment plans from other providers and offer you a competitive bid. We’re here to work with you. While braces can be life changing, the expense can be a bit daunting. Here are our accepted insurance programs, call our office for assistance to see what portions will be covered. Metal braces (traditional braces): These are the braces that come to mind traditionally. They are made up of metal wires and brackets, smaller then earlier metal versions. More recently, the metal wires can be activated by your body’s heat thereby moving the teeth faster and with less pain than in the past. The metal braces are the most affordable braces. Most parents opt for metal braces because they get the job done for the least amount of investment. Ceramic braces: These use the same bracket and wire structure of metal braces, except they’re made of ceramic in clear of colors that match the teeth, thereby seeming almost invisible. These braces are more expensive than traditional metal braces, but like metal braces move the teeth faster than the Invisalign option. The only downside of the ceramic braces are that they can get discolored if they’re not cared for properly. Lingual braces: Lingual braces are essentially metal braces placed behind the teeth. The benefit of these braces is that they are practically invisible. The downside is that they can be more uncomfortable than the front adhered braces, more expensive, and more difficult to align. Lingual braces are not appropriate for severe cases. Invisalign: Sometimes called “clear braces,” Invisalign is the least intrusive, but most costly ‘braces’ option. It consists of a range (usually 18-30) custom plastic aligners that are replaced every two weeks. Invisalign allows wearers to eat and drink whatever they want, and they’re nearly invisible. They are the most expensive option and not appropriate for severe cases. While invisalign can take longer to achieve results in some cases, many of our patients swear by them. On average patients wear braces for 18-24 months. Your doctor will advise you on the expected time for your individual case, which takes into account your individual situation and the braces you select.